It’s hard to understate the impact that a quality motorized wheelchair can have on a person’s life. Mobility issues can wreck the lifestyle of almost anyone, but motorized wheelchairs are designed to help overcome these struggles as easily as possible. There are a wide variety of chairs on the market, each style seeking to find the right balance of price, comfort, and versatility. Whatever aspect you value the most, the greatest perk will be a smooth return to your daily routine. A motorized wheelchair is only good if it is able to serve the specific needs of the user. Most of the differences in needs come from the locations where the chair is used. Some might prefer an ultra lightweight wheelchair that is foldable and portable, while others might need a rugged chair to navigate outdoor environments. 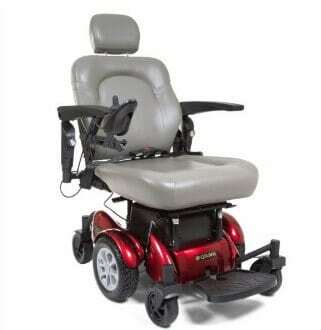 In the end, the best motorized wheelchair can mean different things to different people, but everyone needs the same essentials- having their needs met with a comfortable chair at a reasonable price. The first variable that comes to mind is usually price. Even budget-end models will often run over $1500, meaning that a motorized wheelchair is a financial burden no matter how you look at it. 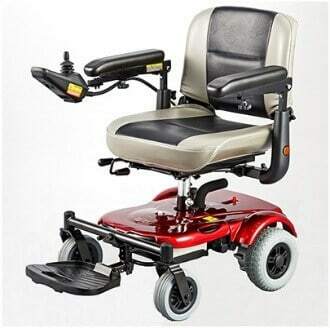 Higher end models will often have more features and longer durability, so any good motorized wheelchair will have to justify its price tag. Financing can be a great way to afford an expensive wheelchair. Companies like Scooters 'N Chairs offer financing options that allow you to spread out the cost of a motorized wheelchair up to 36 months. For those on a fixed income, especially, this can make buying an expensive motorized wheelchair possible. Comfort is also essential for the passenger. Many wheelchair users require a motorized chair because heart or fatigue issues keep them from propelling themselves, especially over long distances . Essentially, any chair needs to be comfortable to sit in for a long period of time. Riders with muscular or spinal disorders will need to pay special attention to the ergonomics of their chair, and should ask for a doctor’s advice in choosing . 1. Many people with painful disorders like muscular dystrophy or multiple sclerosis (MS) need to feel comfortable in their wheelchair for long periods of time. The wheelchair needs to be large enough that any potentially painful pressure points can be padded without preventing the user from changing sitting positions. 2. Bumps can also be extremely uncomfortable without proper suspension. Not every motorized wheelchair comes with shock absorbers, so be sure to ask that question before purchase. 3. Most motorized wheelchairs are adjustable to some extent, but some adjustments, like a reclining back, do not come standard on many models. 1. If you have limited strength and/or hypoxia, the power wheelchair can move you around, but can you move it around? With heavy chairs you may need a car lift to load it, but there are lightweight motorized wheelchair options that can allow you or a loved one to load it independently. 2. Make sure you can get in and out of the chair easily as well. Some options have side entry or a footrest that might make front entry more difficult. Hopefully the motorized wheelchair will last you for years, so make sure that you consider the future. Those recovering from a disease or accident will be fine with a chair that accommodates their needs right now, but for the elderly and those with progressive disorders, think about what they will need in 3 years. For example, how difficult will it be for them to load the wheelchair into a car? Electric mobility scooters are similar to motorized wheelchairs, but they do not accommodate disabilities and limitations to the same extent as wheelchairs. Mobility scooters have a steering wheel and assume that the user can stand and walk unaided for at least short distances. If you think that a mobility scooter may be more suitable for your needs, check out our review of the best electric mobility scooters for adults. Medicare may cover some of the costs associated with purchasing a motorized wheelchair or electric mobility scooter. If you have a valid medical need for a motorized wheelchair, Medicare will pay 80% of the cost. Unfortunately, medicare will not cover mobility products purchased on the internet. To be eligible you will need a written note from your doctor that you meet all the requirements listed on Medicare’s wheelchair and scooter benefits. Medicare coverage for mobility products can be difficult to obtain for a variety of reasons. For example, medicare only covers in-home mobility products, and suppliers need to have a qualified professional on staff to meet with patients face-to-face to determine eligibility. These requirements mean that companies selling online are unable to meet medicare requirements, and you will be limited to a local selection available in stores near you. The strict requirements today may be partly related to the fact that medicare scooter and wheelchair suppliers have a poor track record for honesty, and companies like The SCOOTER Store and Hoveround have been responsible for extensive Medicare fraud. If you are looking for an all-around great value, the Alante Sport by Golden Technologies is your best bet. For a lower cost than many high-end motorized wheelchairs, it provides several great features that make it functional and comfortable in a range of environments. The Alante Sport is our all-around winner. Customization options are numerous, though choosing a different seat size may cost you an extra $160 . If price is your main concern, the EZ-GO Travel Power Chair is the premier budget option. Though it lacks the sleekness or power of other higher-priced models, it nonetheless provides a great value in an expensive market. The EZ GO Travel Power Chair delivers incredible savings. 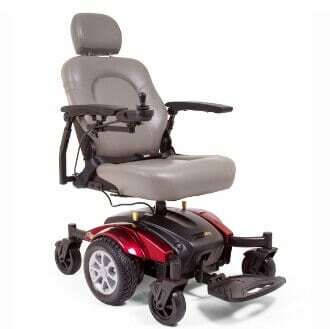 For unbeatable comfort and stability over rough and uneven terrain, you can count on the Compass Heavy Duty Powerchair GP620, also known as the Golden Compass HD. The name says it all- a big, rugged chair for any landscape. 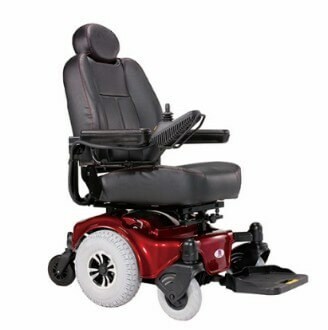 The Compass Heavy Duty Powerchair GP620 is extremely comfortable and stable. For anyone with stability and outdoor navigation as a main concern, the EV Rider Allure HP6 is worth a look. A clever combination of design factors helps this motorized wheelchair deliver a safe ride for both long distances and uneven terrains. The EV Rider Allure HP6 is our top pick for outdoors. With endless range and stellar comfort at just a mid range price, the Alante Sport is our all-around winner. Customization for personal comfort is easy, but some seat sizes will cost you extra. Looking to save money with minimal sacrifices? The EZ-GO Travel Power Chair is your best bet. Though it comes with a stadium seat and a short driving range, this motorized wheelchair delivers incredible savings. If price is less of a concern, the Compass Heavy Duty Powerchair GP620 delivers a comfortable and sturdy ride anywhere you go. It comes with unbeatable stability and weight capacity, but its size and weight can sometimes be a burden. Love the outdoors? EV Rider Allure HP6 has the best driving range of the bunch, and its suspension will help you tackle any terrain. At a mid-range price, this motorized wheelchair delivers high-end stability, but it lacks a customizable seat.